Our Fort Valley family dentist, William L. Toler DMD is dedicated to providing the detailed and attentive care necessary for everyone in your household regardless of age. From toddlers to teens; from adults to senior, our practice focuses on each of our patients as unique individuals, and your treatment plan is tailored to reflect that. We are pleased to offer a wide variety of services, with a particular interest in gentle and painless treatment. That, of course, starts with our youngest patients. The experiences that your child has with our Fort Valley family dentist are going to be instrumental in the forming of his or her attitudes as an adult. We want her or him to feel comfortable and at home. Our office atmosphere is friendly and welcoming. And our staff, especially our Fort Valley dentist, are patient. This extends beyond children, though. We find that when each patient is valued and treated with the importance they deserve, then there coming back is something that is looked forward to. That’s key, because a complete oral examination, including x-rays and cleanings should be on the schedule of everyone, regardless of age. The last thing we want is to give any motivation for skipping those essential visits. From restorations to cosmetic treatment, your needs and preferences are our highest priorities. With timely care supported by the state-of-the-art office we maintain, outcomes are very likely to be good the vast majority of time, whether the treatment required is routine or urgent. 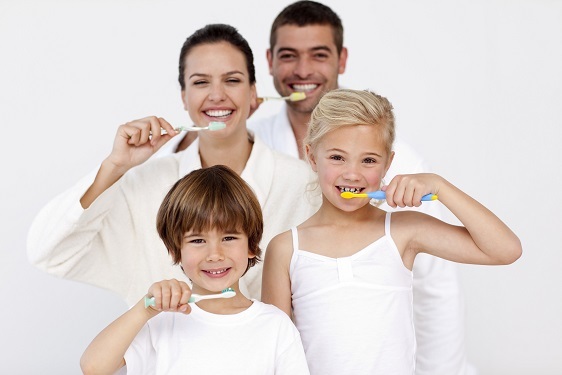 We are pleased to be the one and only dental practice that you need for your entire family. It makes things easier and you know what to expect. We never stop earning your trust and respect. So reach out to us and book an appointment right now. It’s never too early or too late to get excellent care.